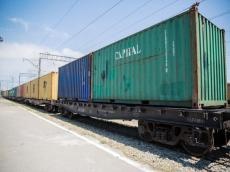 Grampet Group, the largest rail and logistics operator in Romania and South-Eastern Europe, joined the International Association “Trans-Caspian International Transport Route” (TITR). Romania media outlets reported that this is the first European company that joined TITR. The president of the Grampet Group noted that TITR will allow to transform Romania into a logistics platform of Europe and Asia, create 100,000 new work places and contribute to the receipt of more than one billion euros in the state budget. Grampet Group is the largest private rail group in Romania and in South-Eastern Europe. Set up in 1999, Grampet Group includes several companies with activities in all railway sectors, from the transport of goods, rolling stock manufacturing and repairs to logistics management. In the past years, the group has extended its activity and currently it provides services in Romania, Bulgaria, Hungary, Germany, Austria, Serbia, Montenegro, Ukraine and the Republic of Moldova. Grampet owns the biggest private railway operator in Romania, Grup Feroviar Roman. In Bulgaria the group operates through Bulgarian Railway Company and Train Hungary, thus succeeding in delivering integrated transport and logistics services to its customers. The agreement on creation of the TITR was signed in April 2016 in Baku by the railway authorities of Azerbaijan, Georgia and Kazakhstan. TITR is a project initiated to improve transit potential and development of the countries of the Caspian region. This route runs from China through Kazakhstan, the Caspian Sea, Azerbaijan, Georgia, Turkey and further to Europe. Azerbaijan, Kazakhstan, Georgia and Ukraine decided to apply the competitive feed-in tariffs for cargo transportation via the TITR in January, 2016. Single competitive rate was introduced in the framework of the route starting from June 1, 2016 with the view to reduce the costs of international cargo transportation. About 300,000-400,000 containers are expected to be transported via the Trans-Caspian international transport route by 2020, bringing huge financial profits to Azerbaijan. Growing interest in the transport infrastructures passing through Azerbaijan’s territory is expected to make the country a major transport hub in the region.